In January 20, 1885, Congress granted the Fremont, Elkhorn and Missouri Valley Railroad a right-of-way through the Fort Robinson Military Reservation. Later this line was acquired by the Chicago and North Western. With direct rail access in 1886, the fort continued to expand its regional importance, and its military use was assured well into the twentieth century. The railroad's arrival also spurred settlement with the founding of the town of Crawford in 1886. 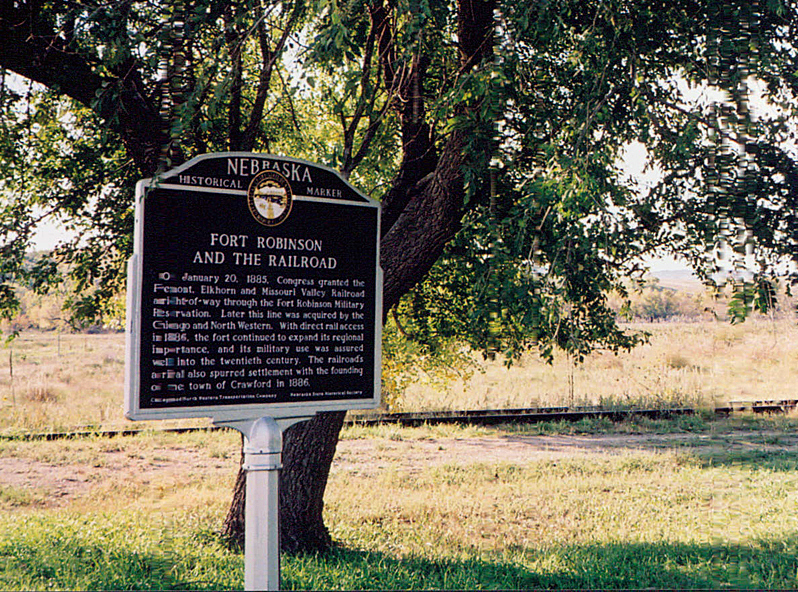 “Fort Robinson and the Railroad,” Explore Nebraska History, accessed April 18, 2019, https://mynehistory.com/items/show/136.